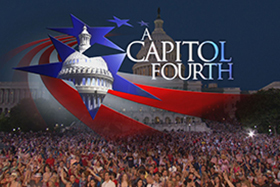 Executive Producer Jerry Colbert looks back at the evolution of A Capitol Fourth. Each year, more than half a million people join us live on the National Mall for what has become the most spectacular July Fourth celebration in the nation. 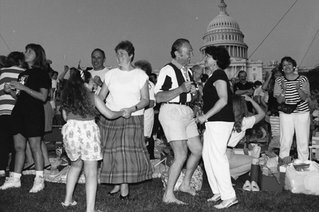 Nothing could inspire our patriotic fervor more than celebrating America's independence on the West Lawn of the U.S. Capitol. As the national anthem plays, the crowd turns toward the flag, flying over the Capitol, and faces the Statue of Freedom atop the famous dome. Millions more watch the concert on PBS stations around the nation. 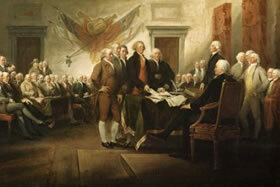 Producing A Capitol Fourth requires many months of advance planning, writing and coordinating countless details. 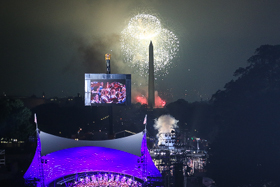 The partnership between A Capitol Fourth and the National Symphony Orchestra goes back to the very first show. 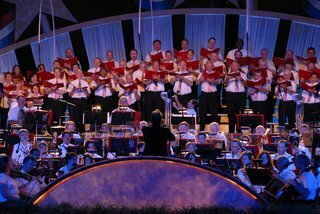 The crowd on-site and the television audience at home always look forward to hearing their favorite patriotic songs performed by one of America's most highly regarded musical ensembles. In particular, the Choral Arts Society of Washington, led by its artistic director Scott Tucker, has become a wonderful addition to the A Capitol Fourth family. Over the years, we have been fortunate to work with many world-renowned conductors, including Mstislav Rostropovich, Henry Mancini, Hugh Wolf, James Conlon, Leonard Slatkin, Erich Kunzel and now, Maestro Jack Everly. All have met the challenge of combining many different American music styles into a single exuberant production. 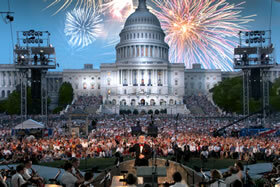 The playing of Tchaikovsky's 1812 Overture, accompanied by live cannons, has become an A Capitol Fourth tradition. Timing the cannons with the fireworks and music requires true precision. 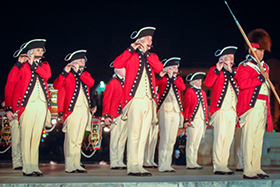 The National Symphony Orchestra music librarian cues the United States Army Presidential Salute Battery to fire the cannons at the perfect moment in the score. This is no small feat, considering the complexity of the music and the technical requirements of firing a cannon! The performers in front of the cameras are a thrill to watch, but it’s the talent behind the scenes that makes it all come together. A dedicated crew of more than 400 people returns year after year to produce this one-of-a-kind live broadcast. The production team includes industry veterans who have worked on such prestigious live programs as the Grammy Awards, Academy Awards, Country Music Awards, Primetime Emmy Awards and Tony Awards. 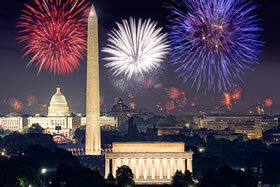 Twenty different cameras are needed for the broadcast to cover the length and breadth of the National Mall and memorials, including cameras placed in the Washington Monument and across the Potomac River in Virginia to capture the entire city landscape illuminated with fireworks. Each year, viewers write in to say how much they enjoy our innovative presentation of this brilliant pyrotechnic display. Coordination among several government entities is required to facilitate such a large undertaking, including the Military District of Washington, National Park Service, Architect of the Capitol and, because of its unique location at the Capitol, three law enforcement agencies – the U.S. Capitol Police, the U.S. Park Police and the Washington Metropolitan Police Department. Over the 48 hours leading up to broadcast, a frenzied pace kicks in, with a musical run-through at the Kennedy Center with Conductor Jack Everly and the National Symphony Orchestra; blocking rehearsals on-site on the West Lawn of the Capitol; one full dress rehearsal the night before the show; and late-night production meetings to tweak the script and make any changes necessary to bring you a seamless and exciting Independence Day celebration. All the planning, effort and intensity is worth it as the fireworks light up the sky over the Washington Monument in our nation's capital.